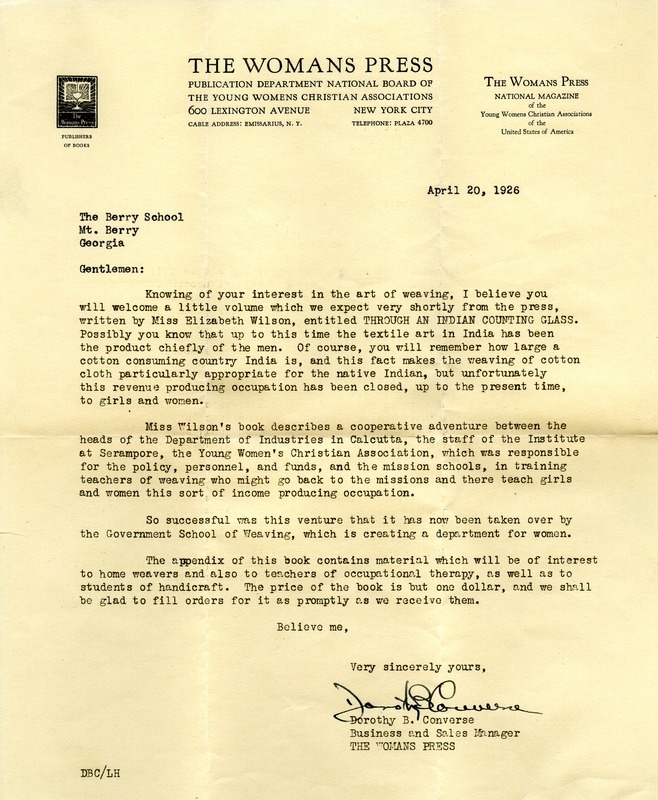 In this letter Dorothy B. Converse sends a copy of a book called "Through An Indian Counting Class" that she thinks Mrs. Berry would like. Dorothy B. Converse, “Letter to The Berry School from Dorothy B. Converse.” Martha Berry Digital Archive. Eds. Schlitz, Stephanie A., Rachel Renaud, Jordan Brannen, et al. Mount Berry: Berry College, 2011. accessed April 22, 2019, https://mbda.berry.edu/items/show/1226.